Meet the Parkway Floral Team! Our Team is the Reason for Our Success. 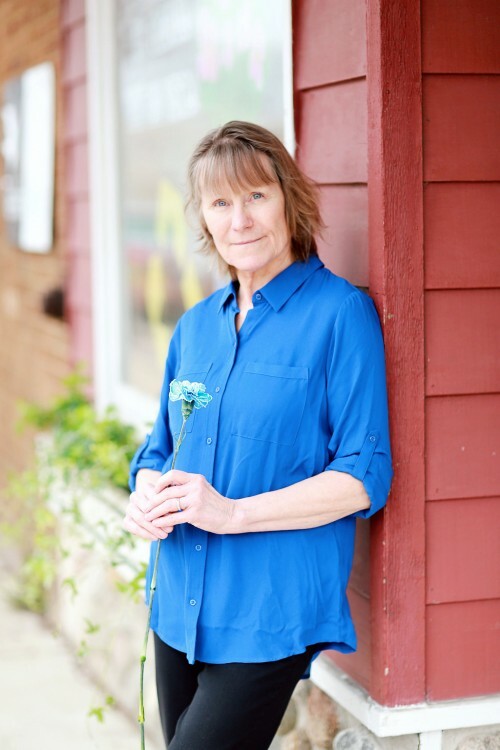 Proudly serving the South Milwaukee, Wisconsin area, we're a full-service local florist that is family-owned and operated since 1951. Our highly-trained staff is ready to assist you with placing orders for local delivery or anywhere in the world. Not sure what to send? We'll gladly help you with creative suggestions! For your convenience, we offer daily floral delivery to local funeral homes and hospitals. About the Owners: Yes, they are South Milwaukee graduates! Leah has been working at the shop since August of 2000. She purchased her shares of the flower shop in June of 2010 when Brian Lynch retired. 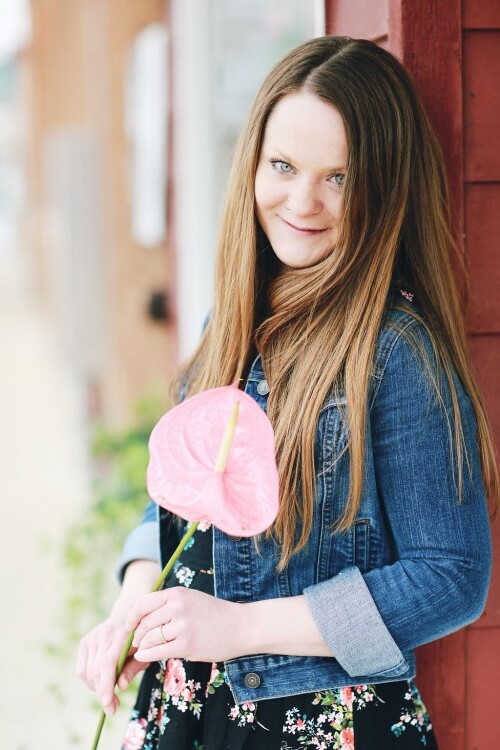 She is skilled in all design styles and loves making exquisite tropical and zen designs featuring exotic greenery, Protea, Birds of Paradise & more! Carly has been working at the shop since August of 2003. 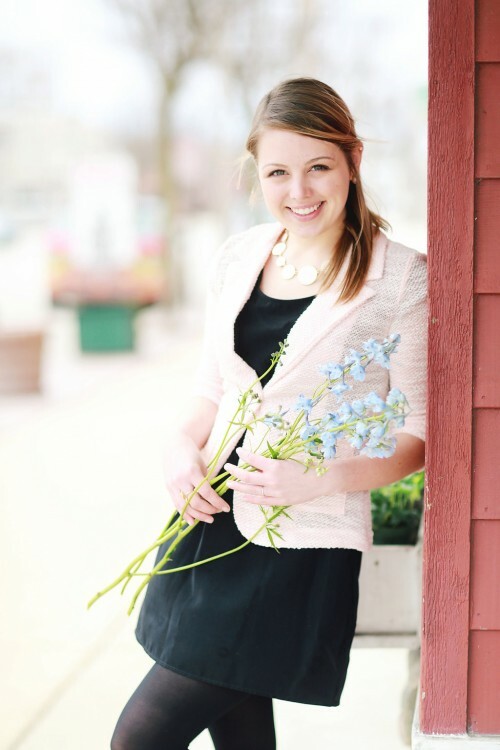 She is 3rd generation in the flower shop and purchased her shares in October 2013 when Bryan Lorentzen retired. She is skilled in all design styles and loves to make big and showey traditional pieces featuring Roses, Iris, Gladiolus & more! Hayley excells in meeting with brides and creating amazing bridal and event work. She has been working at the shop since September of 2010. Her unique and artistic perspective continues to wow every customer she works with. 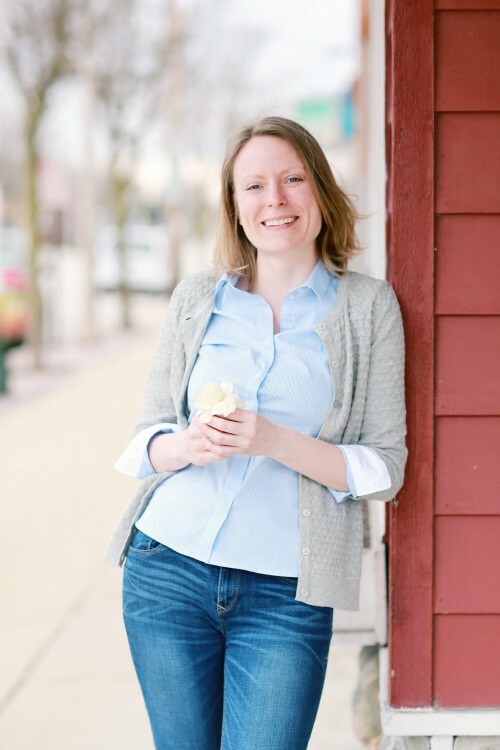 Colleen has been with us since April of 2014. 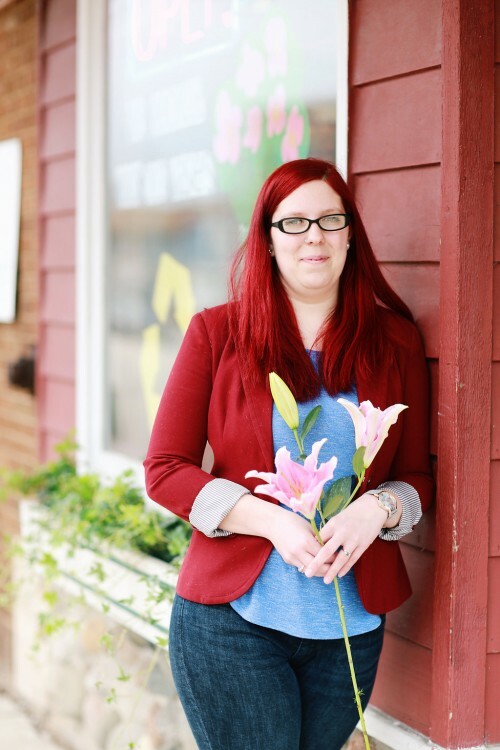 She has outsanding customer service skills and picked up on creating beautiful wrapped and vased designes instantly. 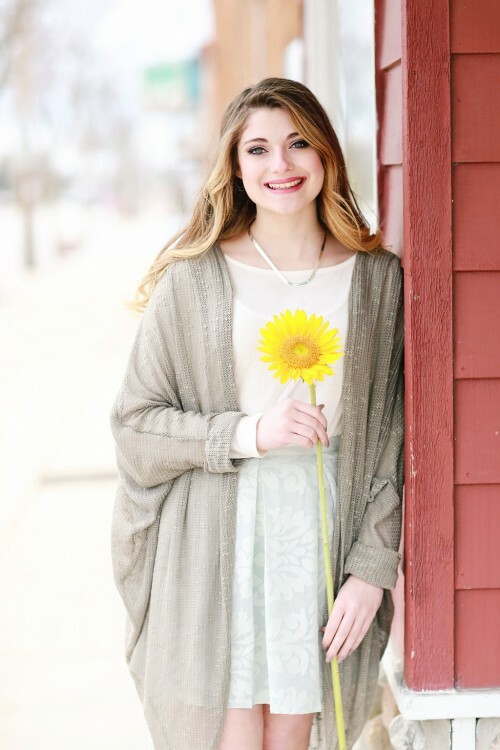 Nat started at Parkway in September of 2005 Her attention to detail is remarkable and she excells in beautiful mixed vased designs, bridal work and event centerpieces featuring Lilies, Alstroemeria and Tulips. 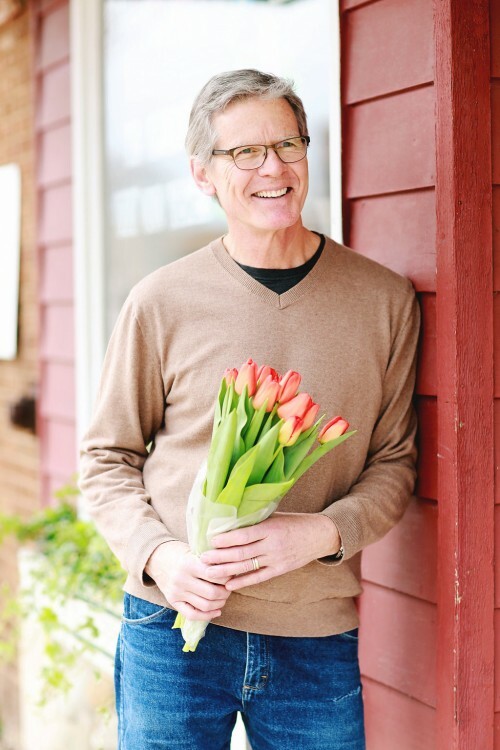 Bryan started at the flower shop in the 60's. He purchased the shop from his family in 1976. 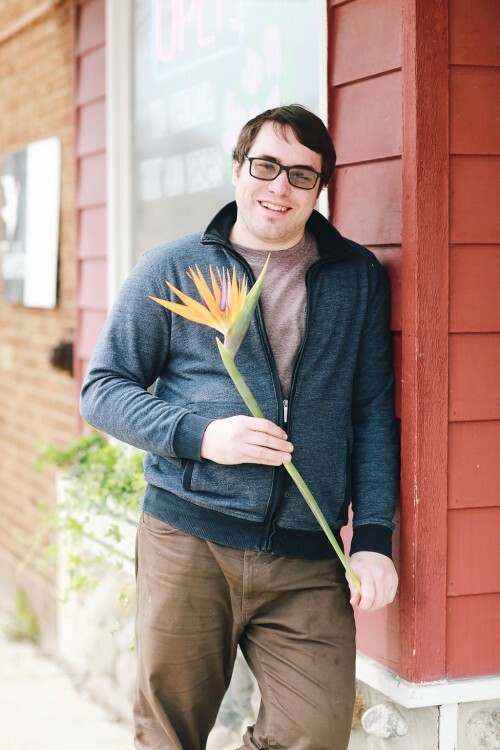 He was a mentor for both Carly and Leah while they were apprenticing at the shop before their purchases. He worked side by side as Leah's partner from 2010 untill 2013 when he retired. His help during holidays and busy times is appreciated by everyone on our team. Sherry started working at Parkway in January of 2015. She has a special knack for keeping the shop tidey and organized. She also creates beautiful sympathy work in many different design styles. Her gorgeous acrylic paintings are available for sale exclusively in our shop. Fresh flower guarantee! If your flowers don't last for 1 week, we will replace your bouquet. MKE's Best Wedding Flowers Runner Up on the WISN A-List. Friendly and knowledgable service from our team of florists. Half Price Fridays! Most Fridays our flowers are 50% off for walk in customers that take them wrapped in paper. Dedicated community service. 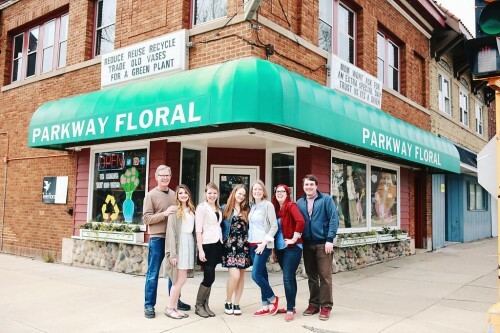 The owners of Parkway Floral lead the community volunteer efforts for downtown revitalization and commerce in South Milwaukee.